4235 Square Feet (393 Square Meter) (470 Square Yards) luxury house exterior. 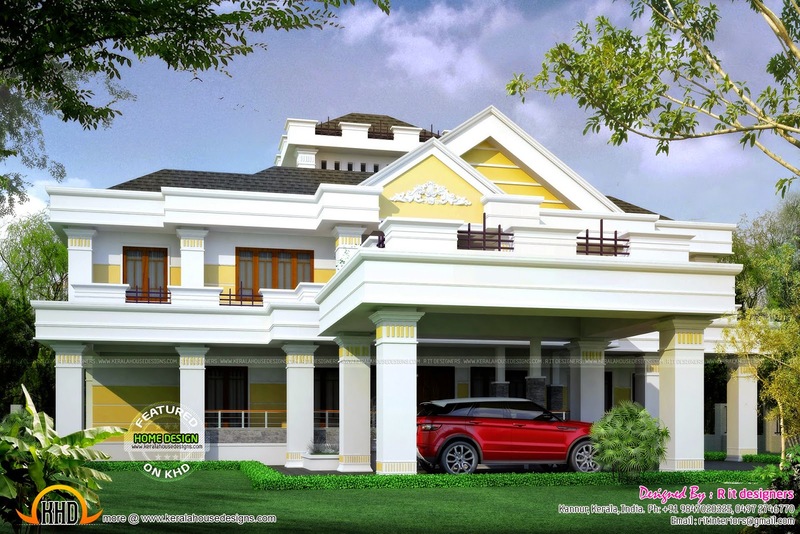 Designed by R it designers, Kannur, Kerala. Ground floor: 2455 Sq. Ft.
First floor : 1780 Sq. Ft.
Total area : 4235 Sq. Ft.
Porch : 477 Sq. Ft.